Sienna was once considered disposable, and she is lucky to be alive. She is still learning to trust, and she gets braver every day. She and her sister were thrown in the dump when they were about 7 weeks old and things were not looking good. However, they were brave enough to not let themselves starve to death, and so they were discovered and now life is way better! Sienna does not have mean bone in her body, and while it will take a special person who is willing to be patient and kind, the reward will be great. 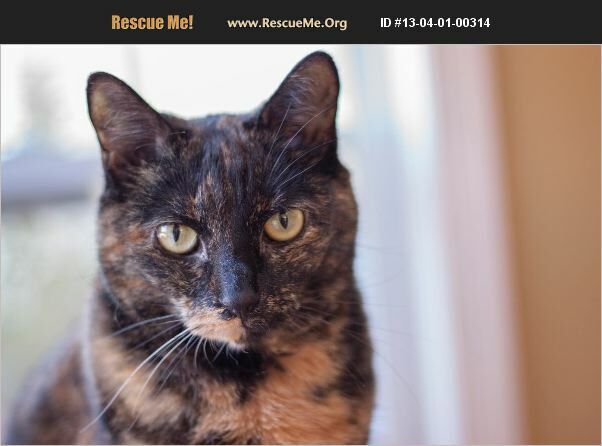 Sienna adores other cats and kittens, and she purrs like crazy when she is petted and loved on. She's still a little nervous about some things, but she has a brave heart, and she's working hard on her fears. Surely someone out there will be willing to give her a chance. It's not fair that such a horrible beginning and such cruelty from humans should prevent her from having a loving home of her own! Sierra still believes in the goodness of people!